Celebrating the glory of bacon. These bad boys are paleo friendly. 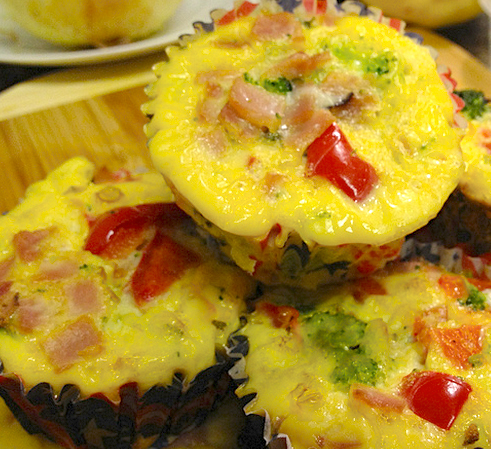 You know, omelet muffins, just like the cavemen used to eat. They’re pretty healthy, and super easy to make, so make up a few and enjoy! Preheat the oven to 350F. Grease a muffin tin with at least 8 cups, or line with paper liners. Beat the eggs together in a large bowl. Mix in the bacon, veggies, salt, pepper, and water. Pour the mixture into the muffin cups. Bake for 18-20 minutes, until muffins are cooked thoroughly. Love the Smell of Bacon? 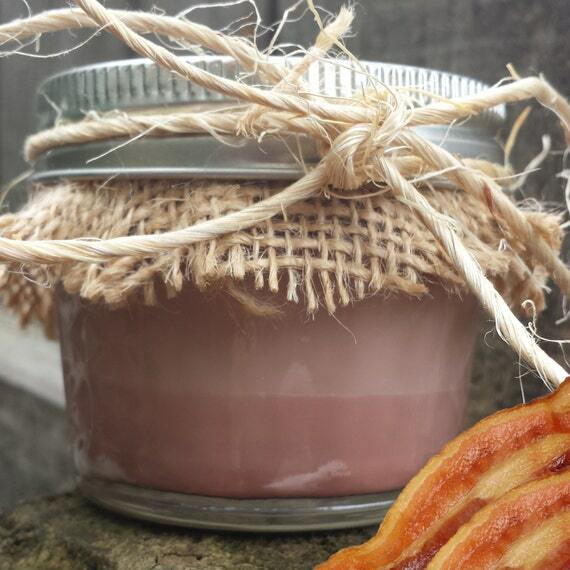 Homemade bacon candles make great gifts for fellow bacon lovers!